QuickSearch, the Libraries’ “search everything” service, has added a number of new features to aid in your research. 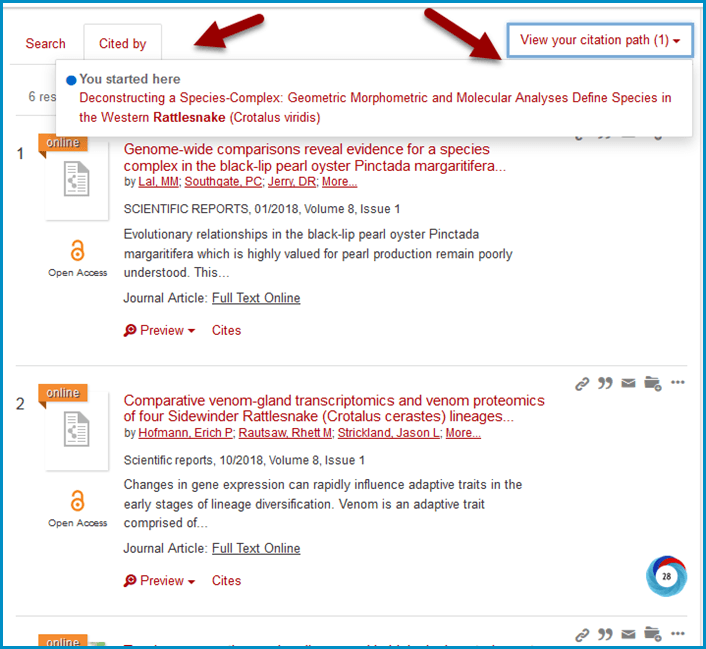 Now you can hit the citation trail in QuickSearch with new links to articles cited by or citing a specific article. When viewing a record for a journal article in your search results, you may see a link to “Cites,” “Cited by” or both. Simply click the link to view related articles in the QuickSearch database. Citing or Cited articles will show in the active tab, you can always return to your original search with the Search tab. The link “View your citation path” provides a link back to the article you started with – so no chance of getting lost in the citation forest. 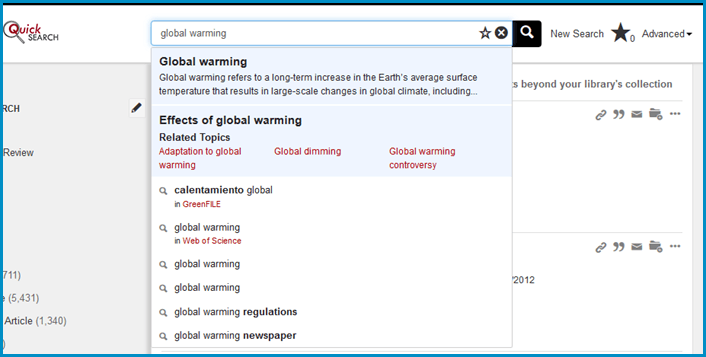 Citation data in QuickSearch is drawn from the Crossref organization; you are more likely to find cites / cited by links for more recent articles. Curious about “cited by” information? Visit our research guide for scholarly metrics for information on other databases that provide citation counts and links. While saved search results in QuickSearch folders are temporary for each session, you can now log in to your Google Drive or campus Microsoft Office 365 account to save search strategies and re-run them later. See the step-by-step instructions on our Ask a Librarian FAQs for more information. Start typing a popular search or term into QuickSearch and you may see a new response of suggested search terms as well as a quick reference definition. These autocomplete searches are based on popular searches across QuickSearch libraries as well as popular library databases. 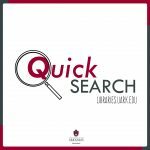 A single search in QuickSearch can return records from books and ebooks, articles and ejournals, theses and dissertations, plus conference proceedings, videos, music, images, manuscripts, standards, maps, and more. This high-powered search engine is the perfect place to start your research — it’s simple, fast, and far reaching. QuickSearch is also freely available to anyone to search; though full text access is usually limited to current students, faculty, and staff.